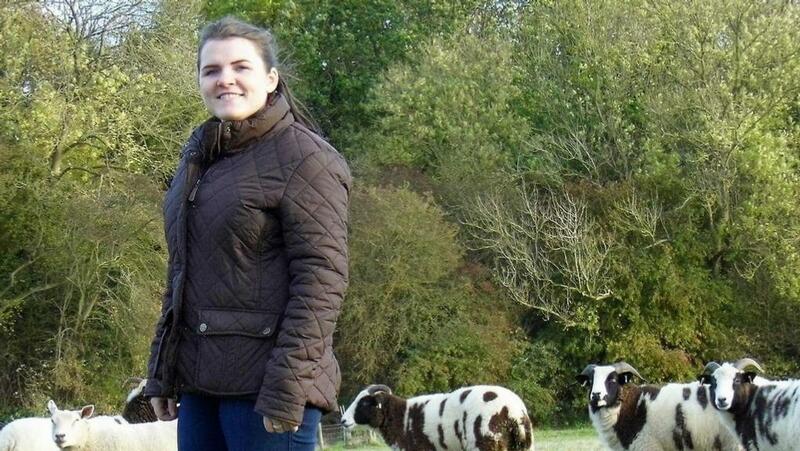 Georgina Gater-Moore captures the highs and lows of lambing. This year, lambing is a little different. I’m on my placement year that’s part of my university course and, I’m working a nine-to-five job in an office instead of spending a month outside lambing on a 700 head farm as I have the past couple of years. This is also the first year I have lambed my own small flock of seventeen ewes single handed, with no one around to depend on as they usually lamb alongside the flock I worked with. Yes, this year there’s been a heightened sense of responsibility and a lot of work to get everything organised - grazing, nutrition, making sure I have the essential kit ready to cover any eventualities. My routine at the minute is an early morning check of my ewes at around six-thirty am, then I go to the farm in the village to help feed up and bed down for an hour with them before going to work. I head back to check my flock at lunchtime and do the final check of the day when I get home from work, just before six in the evening. The ewes are outside and although they have a shed for shelter, it doesn’t have power or water so I don’t disturb them after dark, I just make sure I’m there first thing in the morning to check things. The biggest obstacle this year is probably having faith in my own ability and judgement. There isn’t anyone standing behind me to ask their opinion or give me decision-making advice. It’s both liberating and terrifying and really, I’m just trying to do the best I can. This means trying not to overthink the small things. Hindsight is a wonderful thing though, isn’t it? I’m learning to use it in a positive way rather than just beat myself up over not making the right decision quick enough and instead, taking note and saving the experience and knowledge gained for next time. As I’m sure many others will agree, the weather has been a huge challenge this year. My ewes then started lambing a lot earlier than I expected, so I’m hugely grateful to have use of the small shed, which helps to ease the worry as I know the ewes can - and will - seek shelter if they need it. The farmer I assist in the mornings also lent me some hurdles to get a few pens up which has been an enormous help. Without a doubt, the best thing about lambing is the successes. Whether it’s delivering a lamb that had every complication under the sun, or seeing your pet lambs thriving thanks to a new milk machine investment; nursing a ewe back from twin lamb disease or even just going to check them after a night of bad weather and finding all Ok and well. Appreciate the little successes at lambing because there’s always going to be some tough times too. Relish in the good moments. Store up those feelings for when the weather is awful, and you feel like you’ve got casualties coming out of your ears, or when an essential piece of kit breaks down, and you’re wondering if it’s all worth it. Brighter days will come, the lambs will start to thrive and this cold and wet lambing will feel like a distant memory. That’s what I keep telling myself anyway!